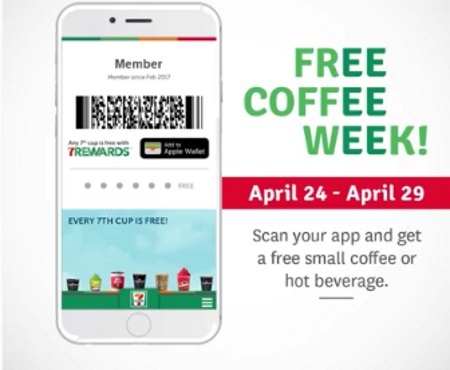 It's Free Coffee Week at 7-Eleven! Just show and scan your 7Rewards App and get a Free 12oz hot beverage! The freebie is a small coffee or hot beverage. Get one free one per day, all week! Offer is valid April 24-29, 2017.